The Destiny 2 Faction Rally event is live, and you can join one of three factions for lots of loot rewards — and, as always, you can turn in tokens to earn lots of Legendary Engrams. Instead of detailing all the loot you can earn, we’re going to skip straight to the good stuff; how to get lots and lots of tokens. Tokens are similar to the planetary tokens for the four PVE zone NPCs. But, these tokens are exclusively traded to Faction Reps in the Tower. Earning them is pretty straightforward, but there are faster ways to get lots of them than just blasting everything everywhere. Follow the methods below to earn an endless amount of Faction Tokens, as fast as humanly possible. This is the most common way to earn Faction tokens is with Public Events. Open your Director and check each zone for incoming events. 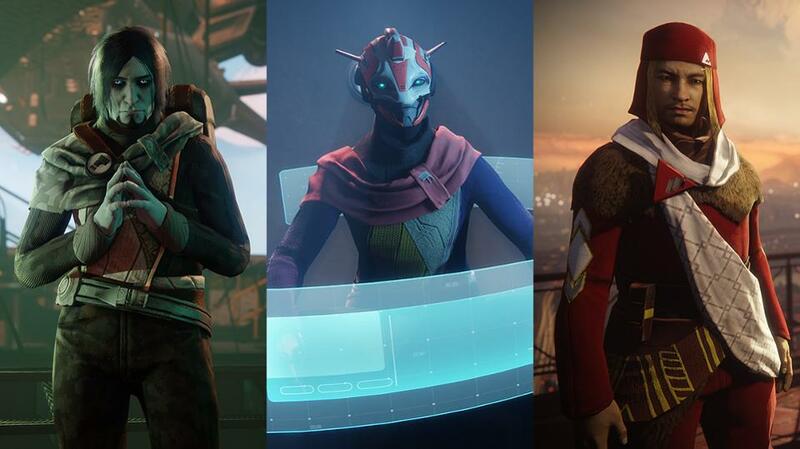 Most players know all about the Heroic versions of Public Events, so they’ll usually aim to unlock those instead of completing a standard Public Event. In any case, here’s a quick guide explaining all 8 Public Event types and how to activate Heroics. But, that’s hardly the best way to farm for Faction Tokens. There’s a much, much better way. To farm for an unlimited amount of tokens, travel to the Lost Oasis on Io and enter the Grave of Ulan-Tan Lost Sector. To earn tons of Faction Tokens, look for red glowing boxes in the Lost Sector — shoot them a few times to destroy them and you’ll unlock one Faction Token per box. The boxes will randomly spawn in different locations. Aim for six, but if you can’t find six quickly, move on. It’s faster to just reset. 3/4 boxes will spawn in the first chamber. 1 box will spawn in the second large chamber. 2 boxes will spawn in the last room. Don’t fight the Vex! Sprint through the Lost Sector and shoot the boxes. When you shoot 5/6 boxes, open the Director and fast travel to the Lost Oasis landing zone. After reloading, the Lost Sector will reset. Hop on your Sparrow and run through the sector all over again. With this fast method, you can earn 5/6 Faction Tokens very quickly. This is easy to do solo, and you can continue to farm faction tokens endlessly. You’ll need plenty to unlock faction ranks, but if you’re looking for a way to improve your faction’s standings, this is one of the best methods available. Good luck, Guardians!